Paddling is fun, exciting and participation should be encouraged for all age groups. Not only is paddling a healthy pastime, its a great way for families to bond. Explore Highland’s Paddle Loch Ness trip begins on the sheltered Caledonian Canal by Dochgarroch, moving out onto Loch Dochfour. Exploring the loch as the paddling teamwork kicks in before moving onto Loch Ness. Various sites of interest discussed on route with a stop off on the beach at Lochend to stretch the legs, have a cuppa and opportunity to take some photos looking down Loch Ness. Explore Highland’s Paddle Aigas Gorge trip is on the sheltered River Beauly. Due to a Hydro Dam 100m downstream from the launch site, the trip begins on the still scenic reservoir. Paddling back up the reservoir towards Eilean Aigas, a stunning island retreat. For groups wishing a more challenging experience, Explore Highland can coach the group to circumnavigate around the island and including floating back down the gorge section. Online booking available for planned Paddle Loch Ness or Paddle Aigas Gorge trip. 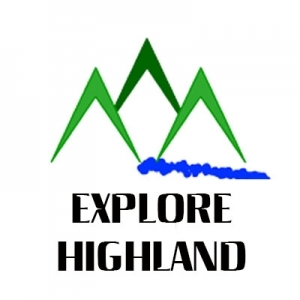 See Explore Highland’s online activity diary. If none of the planned trips are suitable, a private family paddling trip may be possible. Various other locations suitable for half day and full day paddles can be used depending on the weather (wind strength & condition). We recommend it always best to plan to meet at Explore Highland Office and the best weather option be offered for the current conditions. Locations including Caledonian Canal, Loch Ness, River Beauly, Glen Affric, Loch Achilty & Beauly Firth. You can book your family paddle in three easy steps. Step 1 – Check out the online activity diary for Donald’s availability for a suitable date. Craft availability is not listed online. Please be aware as featured on the diary page, Donald is out coaching/guiding and not office based, so please apply with plenty of time to allow enquiries to be processed.